Biltwell Moto 2.0 Goggle features a new sleeker injection-molded plastic frame with slightly wider peripheral space to accept many prescription glasses. 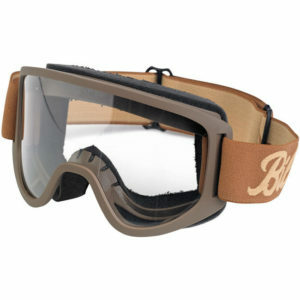 Its impact-resistant clear polycarbonate lens features anti-fog coating for foul weather riding. Double D-rings on the woven elastic strap provide precise adjustment to fit a wide range of helmet shell sizes. 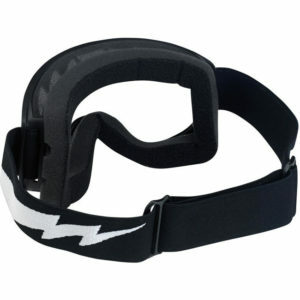 Silicone strips on the back of the strap create stiction against the helmet to reduce slipping. Two-stage face foam with brushed fleece outer layer wicks moisture away from skin and provides filtration to keep goggle interior clean and dust free. Construction: Injection-molded plastic frame with impact-resistant clear anti-fog polycarbonate lens. Double D-rings on woven elastic strap provide precise adjustment to fit a wide range of helmet shell sizes; silicone strips on back of strap create stiction against helmet to reduce slipping. Two-stage face foam with brushed fleece outer layer wicks moisture away from skin and provides filtration to keep goggle interior clean and dust free. BiltwellMoto 2.0 Goggle features a new sleeker injection-molded plastic frame with slightly wider peripheral space to accept many prescription glasses. Its impact-resistant clear polycarbonate lens features anti-fog coating for foul weather riding. 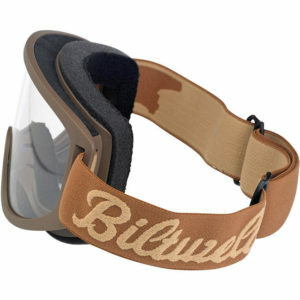 Double D-rings on the woven elastic strap provide precise adjustment to fit a wide range of helmet shell sizes. 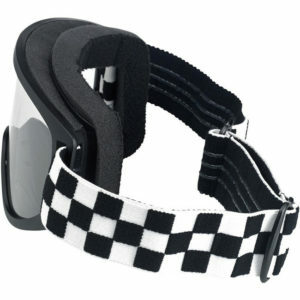 Silicone strips on the back of the strap create stiction against the helmet to reduce slipping. 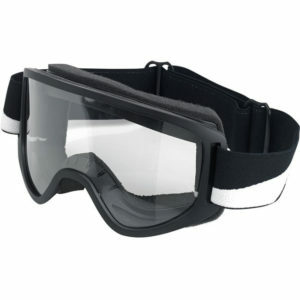 Two-stage face foam with brushed fleece outer layer wicks moisture away from skin and provides filtration to keep goggle interior clean and dust free. Construction: Injection-molded plastic frame with impact-resistant clear anti-fog polycarbonate lens. Double D-rings on woven elastic strap provide precise adjustment to fit a wide range of helmet shell sizes; silicone strips on back of strap create stiction against helmet to reduce slipping. 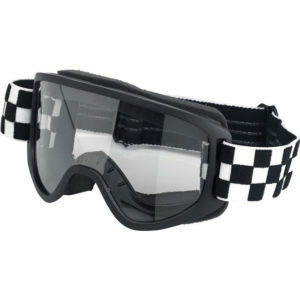 Two-stage face foam with brushed fleece outer layer wicks moisture away from skin and provides filtration to keep goggle interior clean and dust free. 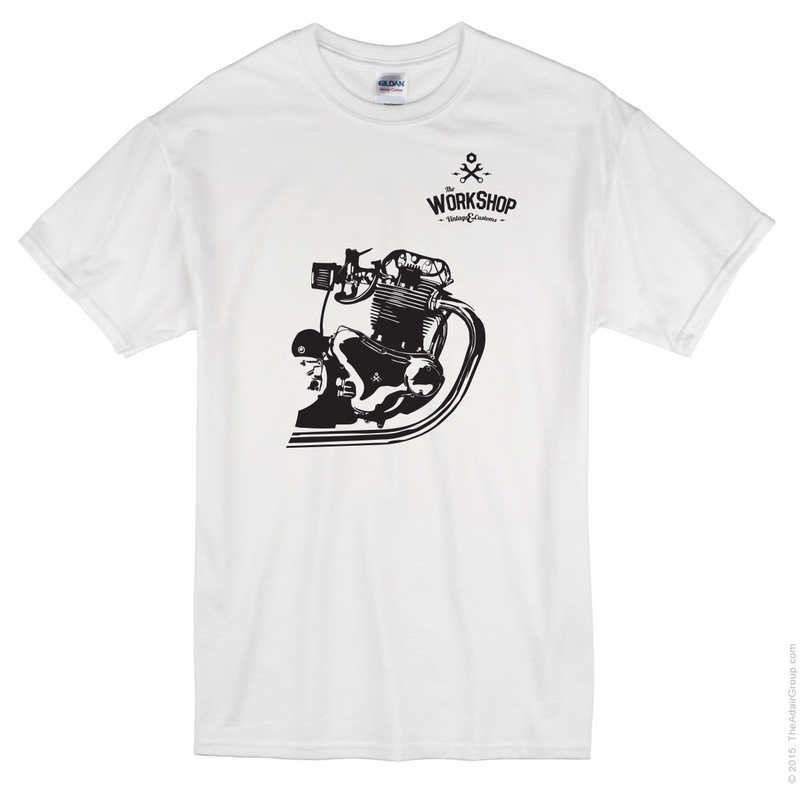 The Workshop presents their first range of T-shirts on OST. 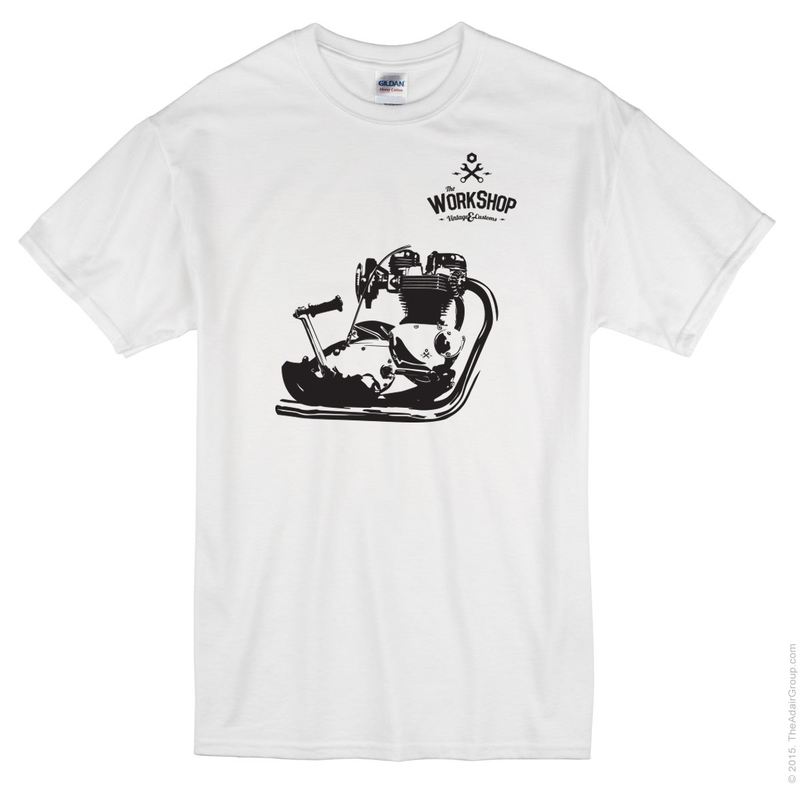 200 Grams ,Please select one size larger than your normal T shirt size. Oil stains not included. 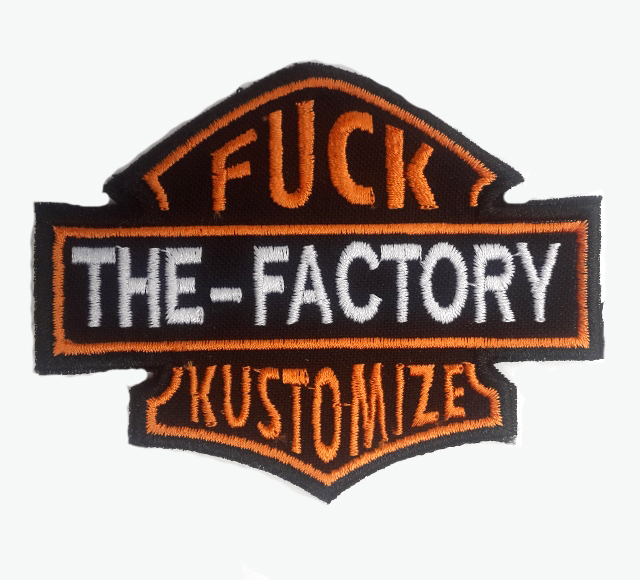 Locally manufactured high quality patches. Sew on patch. #1 Sportster motorcycle patch, 2" wide x 3" tall. With heat-seal iron on backing.